AUSTIN- For the third legislative session in a row, State Senator Donna Campbell has been named a Top Courageous Conservative by the Texas Conservative Coalition. “This is an awesome recognition and I am honored to be the recipient of this award for all my sessions as a state lawmaker. 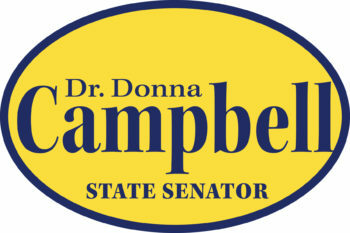 I also want to share this award with you, because when I vote, I vote to represent your values,” Senator Campbell stated. Texas is a prosperous state because of conservative principles like protecting individual freedom and promoting fiscal responsibility. This past session, the Texas Senate passed a conservative budget that cut general revenue spending below the previous biennium’s budget, banned sanctuary cities, boosted border security, and passed municipal annexation reform to protect property rights. These huge victories required strong leadership from conservative state lawmakers and committed grassroots support.